Attend the AMTA 2017 National Convention—September 14-16 in Pasadena, California—to learn hands-on techniques and business tactics for sports massage therapists. Whether you’re new to sports massage or are a seasoned veteran, these continuing education opportunities will help grow your sports massage career. Friday, September 15, 8 a.m. – 5:30 p.m. Learn techniques, contraindications, session planning and other valuable information to take your sports massage career to the next level. Receive hands-on instruction—including a shoulder injury case study—and tips to help you succeed in this specialty. 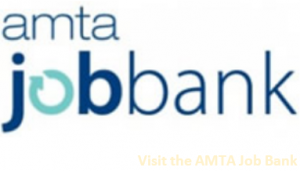 This CE session is full, but take a look at other great education sessions at the AMTA 2017 National Convention! 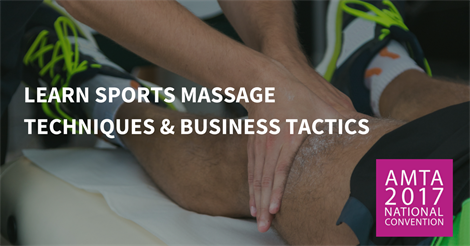 Many massage therapists want to create a successful sports massage practice, but struggle in this market. Learn how to define and develop your unique message to market your business and attract and retain athletes and active clients.